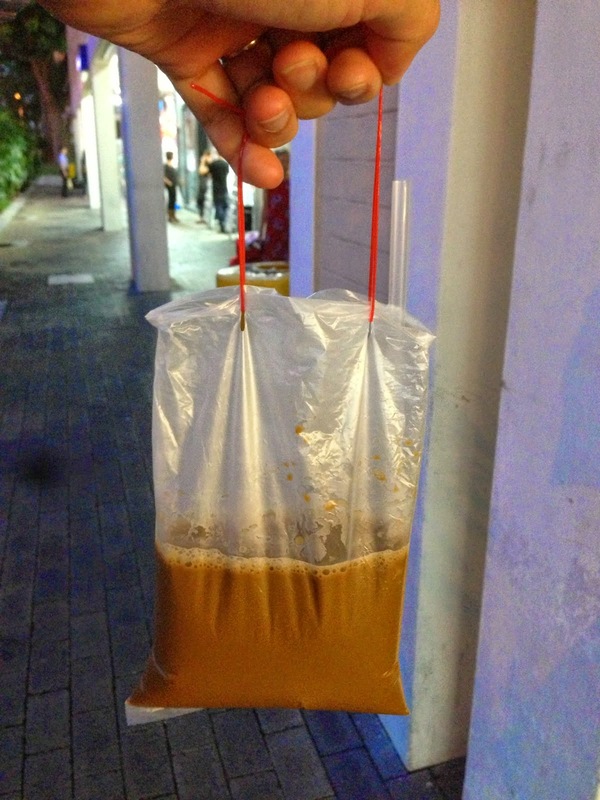 In old Singapore, tapowing (carrying away) hot coffee or tea in an empty condensed milk can was the norm from the local coffeeshops (kopitiams). 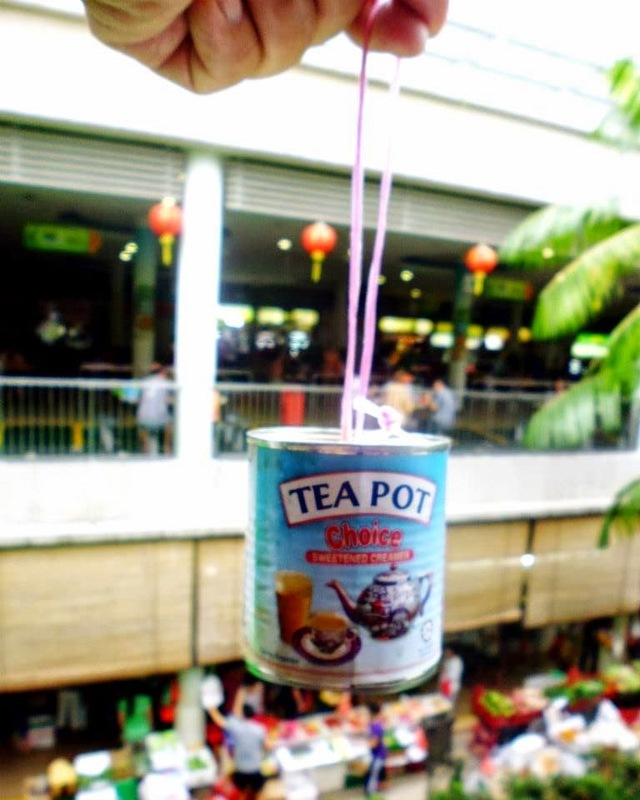 After all, the tins were just sitting there after all the milk has been used making milk tea (nai cha) or spreaded over toast-bread. Today, this practice has diminished somewhat with the use of plastic bags with strings.